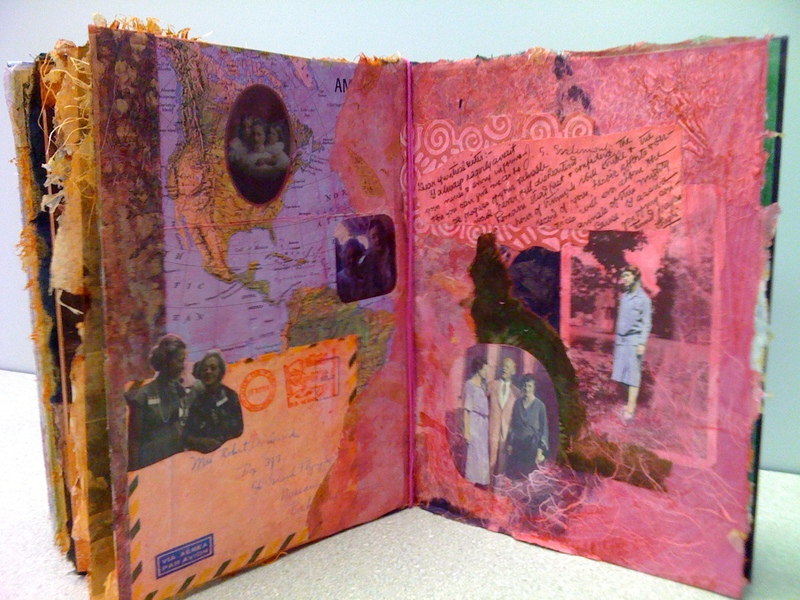 This book was a creative project done for our local library month on altered books. 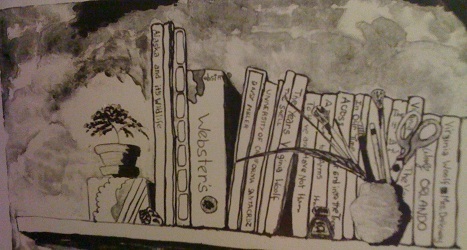 All artists in our area were invited to submit a piece using an old book as the basis of their art work. 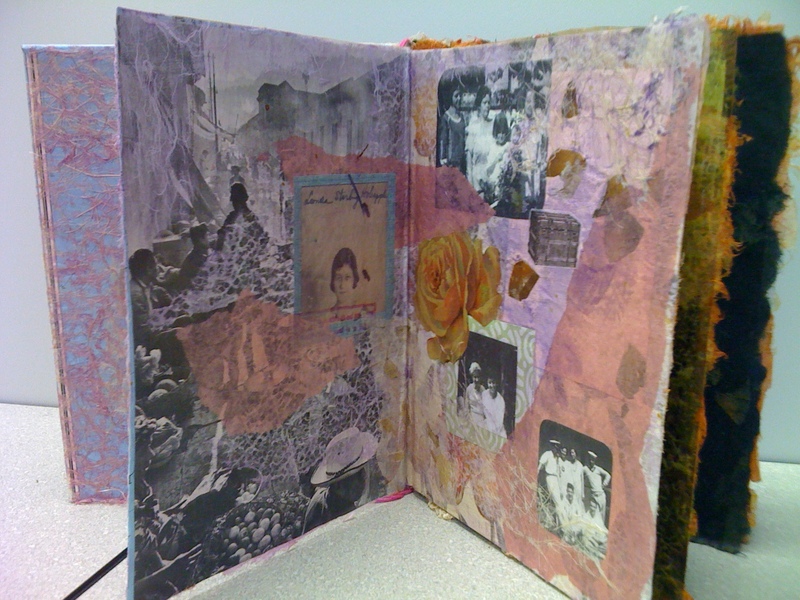 Tuolumne County Library – Sonora, California – June 2009. 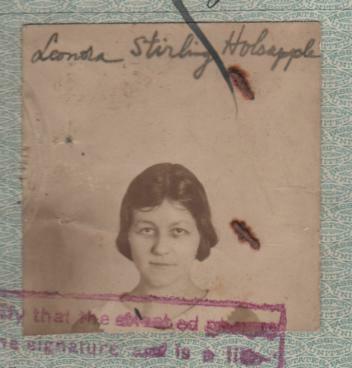 Mine naturally evolved from the research I was already engaged upon of learning more about the life of my great aunt Leonora Holsapple Armstrong. She had graduated Phi Beta Kappa at the age of 19 from Cornell University – class of 1915. Then she had taught Latin in a prestigious girls school in Boston. First page - Leonora, her Grandmother Stirling, mother Grace and sister Alethe. 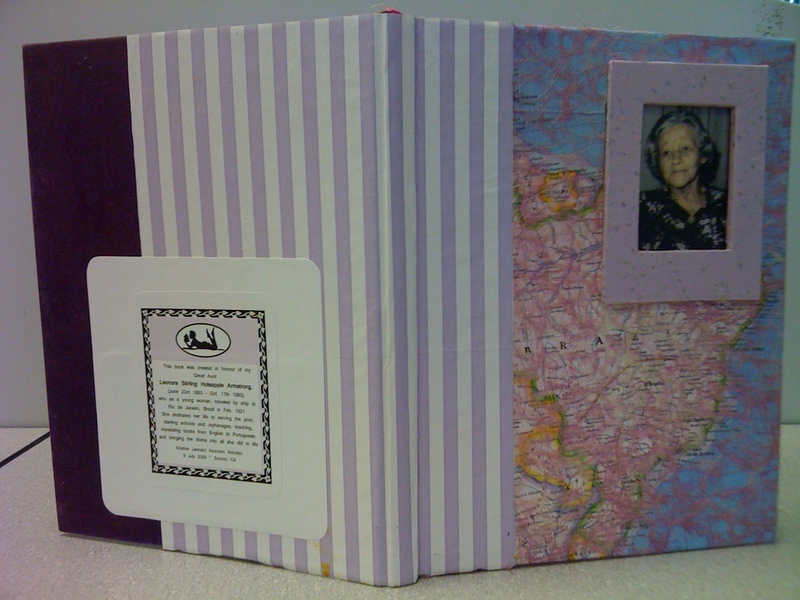 She was 25 when she left New York City harbor by ship to Rio de Janeiro. The year was 1921 and not many single young women would undertake such a brash journey all on their own. Most of her family were against the idea of her going unchaperoned to an unknown country where she didn’t even speak the language. They could not fathom what possessed her to undertake such a daunting adventure. 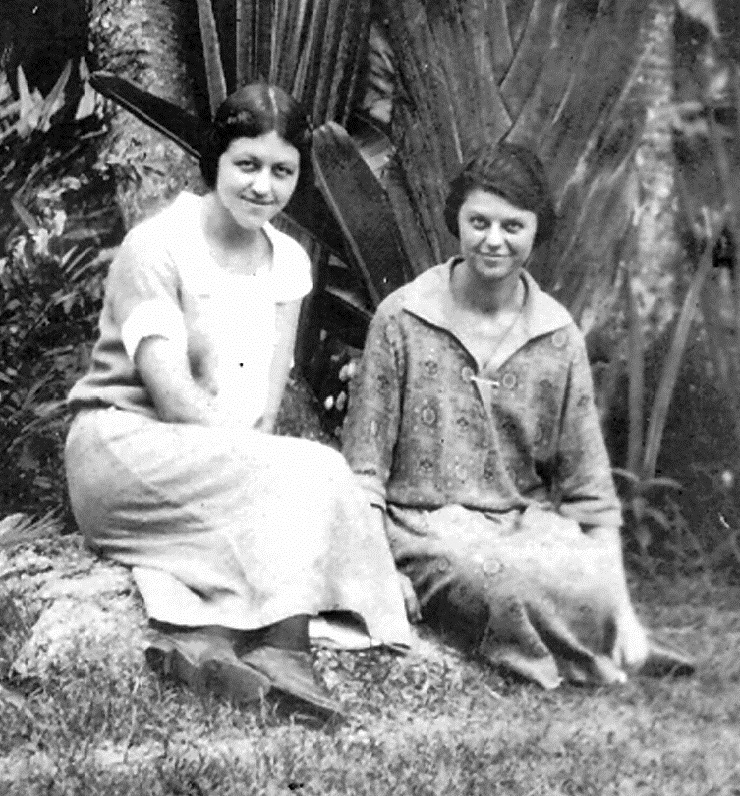 Leonora was to remain in Brazil for almost 60 years as a social worker, educator, translator – the first Bahá’í to settle on the continent of South America. She was fired by her desire to make a difference in the world, as she had been admonished in a letter received from ‘Abdu’l-Bahá to become a spiritual physician and minister to the hearts of those in less fortunate circumstances than her own. Many of her years there were full of difficulties as she strove to make a difference in the lives of the poorer children in Bahia where she began an orphanage and school in 1924. During her lifetime she received about 36 letters from Shoghi Effendi – The Guardian of the Bahá’í Faith – who encouraged her in her social work, teaching and translation work …. She never returned to live in America; she passed away there 17 October 1980 and is buried in Bahia, Brazil. 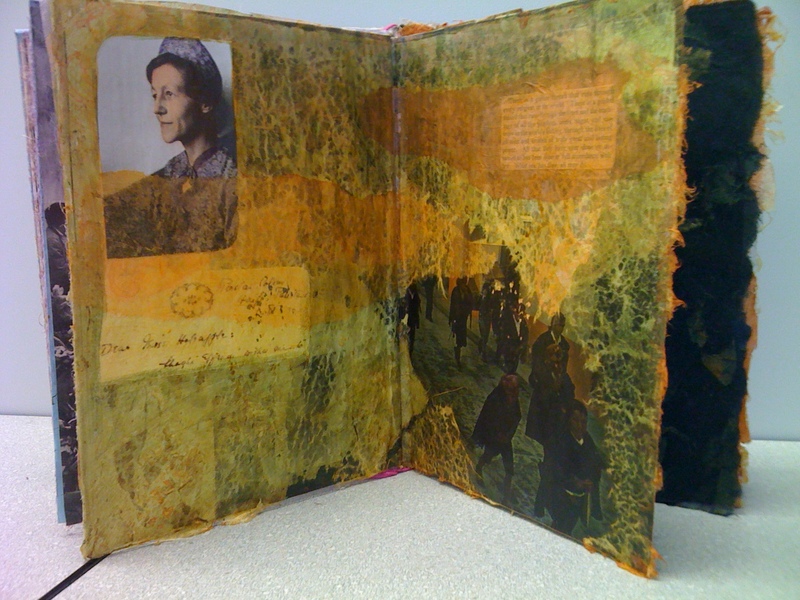 The book was not intended to be chronological or complete, but rather an experiment using maps, letters, photographs, lacy papers and ribbon etc. that might evoke the image of an Edwardian era young woman going to the barrios of Brazil to work among the poor. 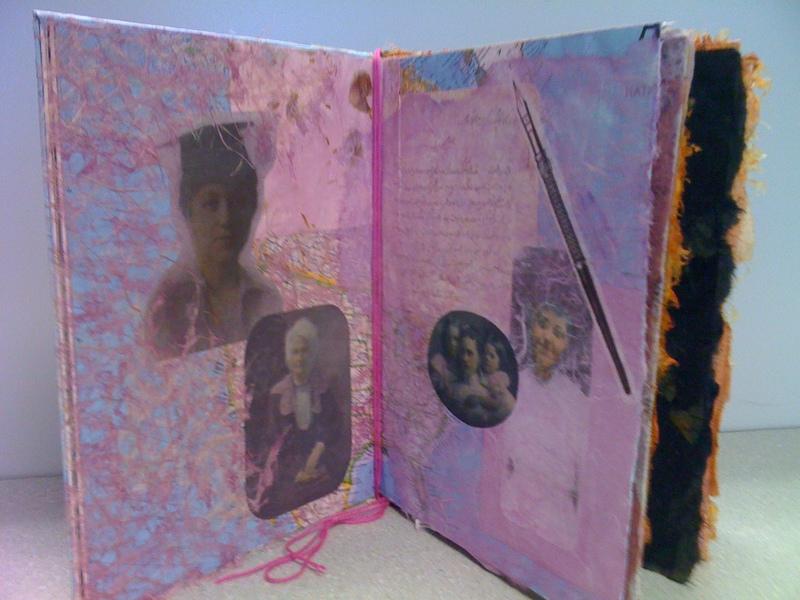 The pinks and purples were used to replicate her favourite color – orchid. The maps are overlaid with sheer Thai unryu and Japanese rice papers, tissue, and other printed decorative papers, then painted with acrylic. The oval portrait was hand tinted with acrylic. 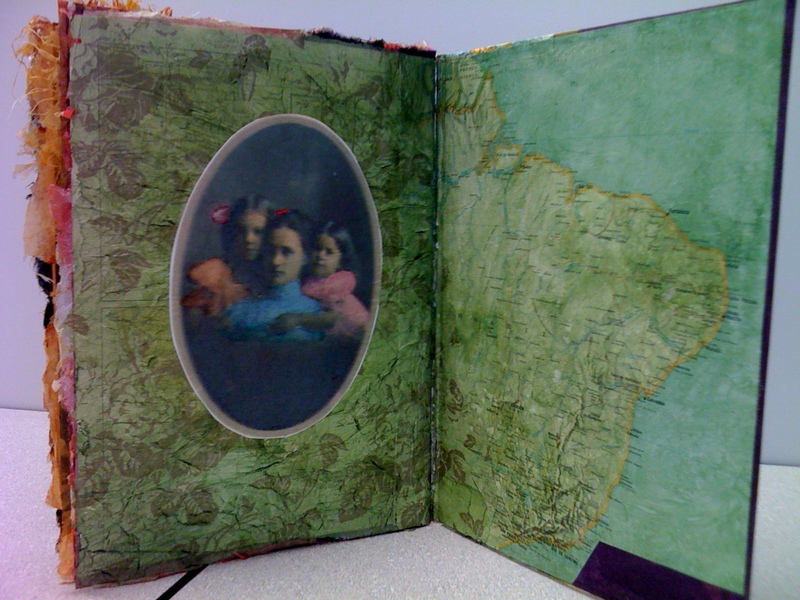 Some photos of the original book showing streets of South American towns and poverty stricken farmers, smiling children, have been allowed to show through to contrast with the prim pale turn of the century dresses and upper middle class poses of Leonora and her family. 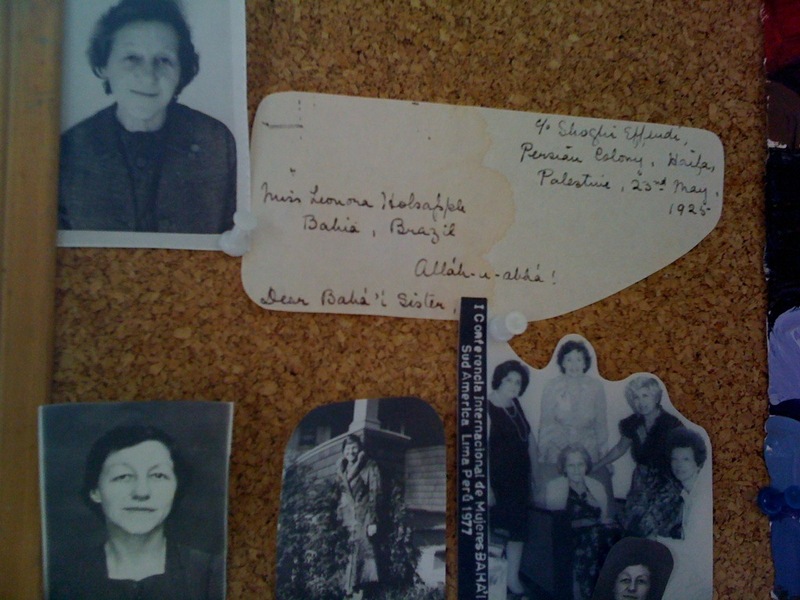 A working bulletin board in researching the life of my great aunt, Leonora Holsapple Armstrong.